← Contest Winners will be Announced Tomorrow! The following is a post from YoungTri Ambassador and UVM Freshman Hannah Feinberg. Hannah is a member of the UVM Triathlon Team and also completed Ironman Lake Placid this past summer at age 18. If the NCAA were to add women’s triathlon as a sport, it would give women a unique way to compete, be a part of a team, and most importantly give them a life long sport to live healthy and active lives. On a personal level, being 18 years young and training for the 2013 Lake Placid Ironman was extremely difficult. I thought I was the only one my age who found exercising for extended periods of time fun! There is something about the mental and physical challenge in training for and racing in a triathlon that is different from any other sport I’ve ever done. 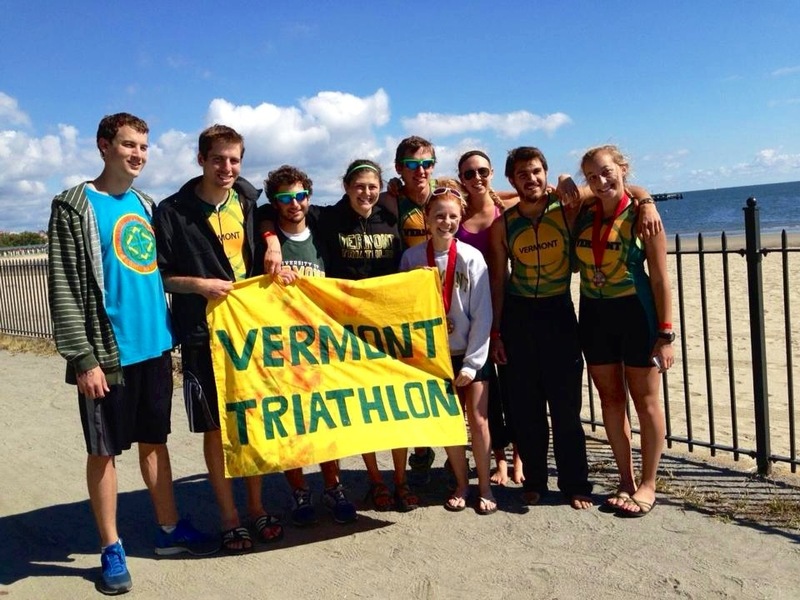 The UVM Triathlon Team at the Westchester Triathlon! It wasn’t until I joined the Triathlon Club at the University of Vermont that I realized I wasn’t alone in this love for swim, bike, and run. Training, traveling, and competing with this team has been one my highlights from my first semester at UVM. I just wish in the school’s eyes that we were viewed as a more legitimate group of athletes and could get the same funding, coaching, and school support as other Varsity teams. 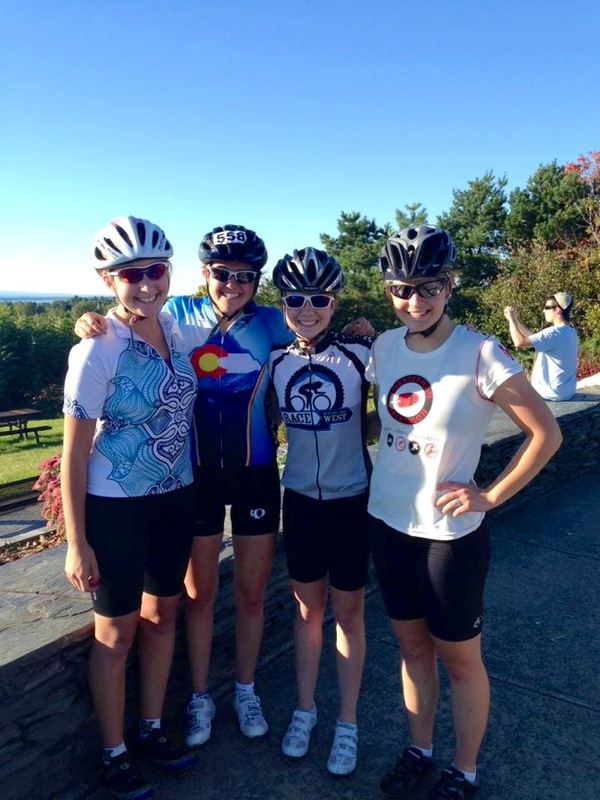 Biking with teammates Abby, Riley, and Caroline along Lake Champlain in Burlington! If women’s triathlon were to be added as an NCAA sport, it would increase the participation at the high school level — and increase the motivation of high school athletes to compete in triathlons. It would also give the high school triathletes a goal to work towards; just as other athletes are working hard at becoming Varsity hockey players, football players, skiers, and lacrosse players… just to name a few. Please vote yes to support this younger generation of triathletes to help them pursue their dreams!